This contemporary ‘mini’ take on the Jubilee Series features: an ECC83 & EL34 valve-set, High/Low output switching, (20 Watt to 5 Watt), FX Loop and independent 4/8/16 Ohm speaker outputs. The 2525C combo is loaded with a single 12” Celestion G12M Greenback speaker. 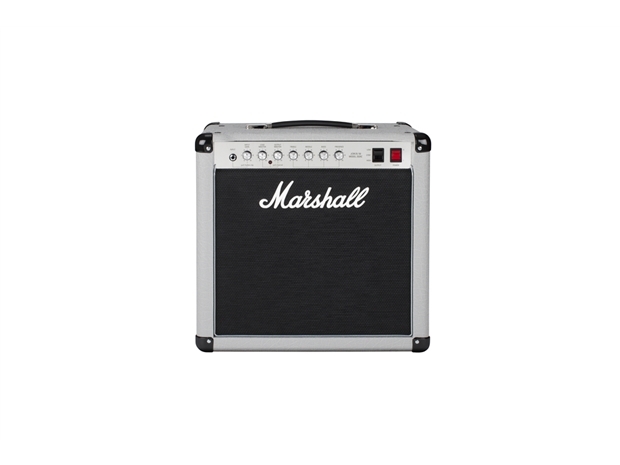 In keeping with classic Jubilee tone, Mini Jubilee features preamp circuitry taken from the 2555X, released in 2015, made using the original diagrams and checked against the original 2555 Silver Jubilee head in the Marshall Museum.